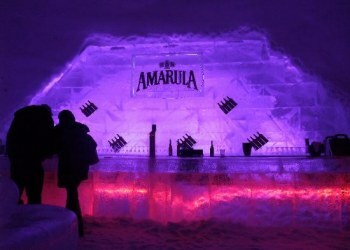 The Snow village is based in Montreal�s Parc Jean-Drapeau. You will have the exclusive opportunity to visit a replica of the great City of New York entirely made out of ice and snow. 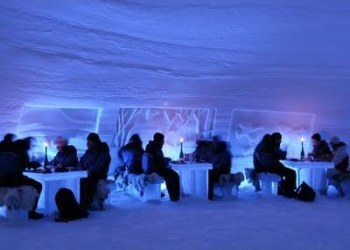 This distinctive concept includes an Ice Hotel offering 10 standard rooms and 15 prestige suites, igloos, a restaurant accommodating 100 guests, a bar with terrace seating up to 250 guests, and to hold corporate meetings and events, all made out of ice, and finally the Ice Chapel where couples will have the chance to get married in the most romantic setting. The Snow Village also presents numerous monuments and buildings. A visit to the Snow Village is an absolute must. With its natural light during daytime and its architectural light effects at night, you will live a totally different and unique experience at all times. Each year, a different city from around the world will be replicated, which made our Snow Village truly incomparable. During our childhood, haven�t we all built an igloo and dreamt of spending the night inside a snow fort? The different types of accommodation available at the Snow Village now offer you the opportunity to make that dream come true. You can actually choose among various snow buildings available, whether it is the Polar Igloo, the Standard Suite or the Thematic Prestige Suite. Whatever your choice may be, your stay at the Snow Village will be an enjoyable and memorable one! All our rooms are equipped with beds mounted on a base entirely made out of ice combined to a wooden frame on which rest a cozy mattress and a thermal sleeping bag resisting to temperatures as low as -30 degrees Celsius. The room temperature is maintained at 5 degrees Celsius at all times. Furthermore, our staff will be happy to assist you and make sure your stay is pleasant, comfortable and exceeds your expectations. 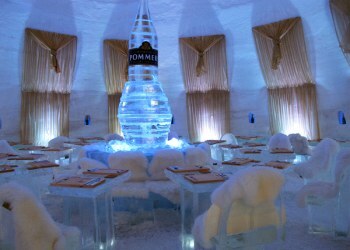 The Pommery Ice Restaurant is open Thursday through Monday from 5 p.m. to 12 a.m. It is the city�s top spot for romantic t�te-�-t�tes, meals with friends or for celebrating private events with flair.